The Melbourne Entertainment Company is a comprehensive wedding & events entertainment service supplier. Offering elite DJs, Singers, Saxophonists, Percussionists, Bands, Photographers, Roving Performers and more, Melbourne Entertainment Company is your friendly, reliable and knowledgeable go-to for seamless corporate, wedding and function entertainment. Professional dancers, singers and choreographers create the prefect tailor made floorshows, cabarets and stage productions for all types of events. The ultimate Entertainer, a Balloonist, Magician and Face painter. 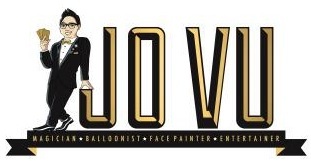 Jo Vu adds fun and laughter to any occasion! Leaving it to the ‘last minute’ can be rewarding! Last Minute Venue is a website aimed to simplify searching and booking venues for your event at the last minute. Whatever your event or occasion may be last minute venue connects people to unique venues, function spaces, warehouses, clubs, bars or hotels at any date that you request, in more than 15,000 venues around Australia. Last Minute Venue is the easiest way for people to search and select a venue on their given date and to secure a deal with just a few clicks.